WordPress is a free and open-source content management system. 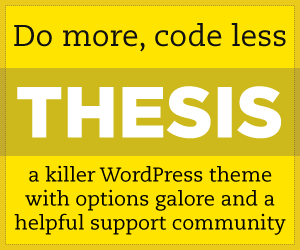 WordPress users may create and develop their own custom themes this powerful platform. The WordPress magazine themes come with the least and functional design. These magazine templates are built with clean code and packed with superior features and options suitable for your news or online magazine. Many famous news and magazine sites such as BBC America, Fortune, CNN, and The New York Times use WordPress to bring audience latest trends and enhances entire magazine appearance. If you have a little news website or a blog which keeps people informed regarding trends and news in a specific area, or any other kind of magazine, or are you just a beginner with an online magazine the collection is for you. You can choose a WordPress magazine theme from this category and personalize it according to your particular style, which even has all important features you want in a theme, such as social sharing and responsive design. We select the best WordPress magazine templates to help you create a beautiful and unique magazine website. Nowadays, WordPress magazine themes have occupied a major place as some of the most modern themes styles and are with one click to install. It is the most flexible and powerful website solution. With the help of WordPress magazine themes you can amend your online magazine, add design according to your style, customize it, put beautiful content on it, and choose the colour palate of your choice and achieve the look of your magazine that you want. These themes are one among the best themes for your magazine. Install them and amend them according to your style. We hope that you love these themes and achieve the look you want. Techone is a modern WordPress Theme that is perfect for technology news, product reviews, online magazine, editorial ventures, gadget articles websites and to present your content in a way that is accessible, logical and beautiful. It comes with Responsive layout that adapts on any screen resolution on desktop and mobile devices. WooCommerce and bbPress Integration help you to build your own shop or a community forum around your site. Techone is coded with HTML5 and CSS3 and with the built-in review plugin created by FameTeam, you can make your reviews stand out. Themes are optimized for SEO so you’ll stand out from the crowd and optimized for speed to load your site lightening fast. With others features such as options panel that allow you to easily control your website without ever touching a line of code. Custom Page Templates help you access to pre-made styles and functions. Also with custom Built Widgets to add Twitter, Flickr, Video, Advertising and bundles more. Mystery is a professionally designed WordPress magazine theme that built with stylish Mega Menus. It comes packaged with multiple custom widgets including Twitter, Flickr, various layout options, unlimited color schemas, multiple pages templates including Archives, full Width, and additional custom templates to enhance your site, Smart design and XHTML valid code ensures search engine optimized, and you can take full control of your theme with options panel from setting to styling. Top News is a great modern WordPress theme specially designed for a news or magazine site with the focus of attracting and keeping visitors on their site. It comes with a fully responsive layout that means the theme’s content will be easy to read and easy to navigate whether it is being viewed on a desktop computer, a tablet, or a mobile device, and also, the theme and its images look sharp and crisp on retina-ready devices. Top News is created advance and takes full advantage of available ad space to give you 5 different ad units, including a rare wallpaper ad, with a focus on reducing bounce rates, while increasing ad exposure, this theme will keep your visitors scrolling with more content all while maximizing your ad revenue! Top News gives you the flexibility and ease of use to display your content the way you want it without altering any code with our custom widgets.